Between the Super Bowl and Valentine’s Day, there are a lot of celebrations happening in Atlanta. February in particular has many festivals going on throughout the month. Below, we have listed some fun festivals to check out this February. With over 180 screenings, and an international collection of 76 films from 24 countries, the Atlanta Jewish Film festival (AJFF) is one of the largest of its kind in the country. More than 38,000 moviegoers will come to the AJFF and can expect to find a diversity of films representing a range of genres. The festival will take place at various Atlanta venues including Cobb Energy Performing Arts Centre, Sandy Springs Performing Arts Center, Regal Perimeter Pointe, Regal Atlantic Station, UA Tara Cinemas, and The Woodruff Arts Center. Tickets are on sale via AJFF.org. Seishun Con is Atlanta’s winter anime convention. This three-day event focuses on Japanese culture, animation, anime and manga. There will be panel discussions, celebrity guests, workshops, events, vendors and costumes. Why travel to New Orleans, when you can experience the party atmosphere of Mardi Gras right in the heart of Midtown’s entertainment district? Midtown Mardi Gras Block Party will open 20+ bars and other establishments for a night out in the town. Dress up and grab your beads and friends for a fun event! Tickets include New Orleans-themed comp shots and drink specials as well as food specials and music. The Chinese Lunar New Year, also known as Spring Festival, marks the end of the coldest day and welcomes the new beginnings of a new year. 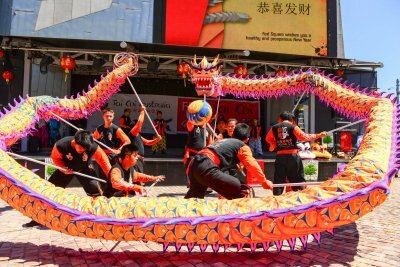 Celebrate the Chinese Lunar New Year with art and cultural exhibitions, an authentic Festival Night Market, food and the Lion and Dragon Dance. 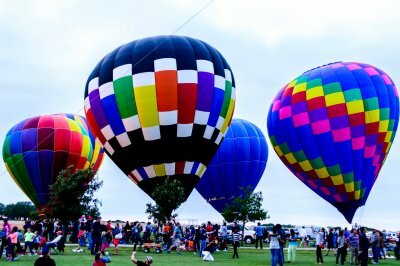 Hosted in Piedmont Park, Atlanta Balloon Glow is a hot air balloon festival that the whole family can enjoy. Every night, hot air balloons will glow in the Meadow – which is the South East area of the park close to The Park Tavern. Tethered balloon rides are also available and are $20 per person if booked in advance. General Admission is free, with VIP ticket available. The event also features food vendors, retail vendors and activities for children! AnachroCon is an event for people to celebrate historical reenactments, Steampunk, sciences, horror, Etiquette and alternative history. More than a science-fiction convention, AnachroCon brings guests and experts in the field to provide a safe and social environment for the free exchange of ideas. 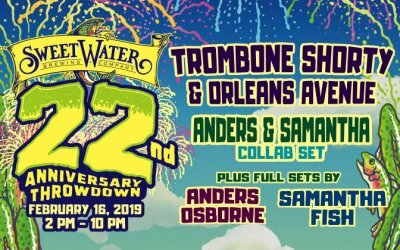 courtesy of sweetwater brewing co.
To celebrate their 22nd Anniversary, SweetWater Brewing Company is hosting a full day of music featuring musical artists Trombone Shorty & Orleans Avenue, Anders Osborne, Samantha Fish, and Grassland String Band. Doors open at 2:00 p.m. and close at 10:00 p.m. This is a 21+ event, and all guests must have a valid ID. You can buy tickets here. The Black History Month Parade is the largest parade in the country celebrating Black and African American culture and history in the Southeast. The parade takes you through historic Sweet Auburn and features colorful floats, vendors, and music. 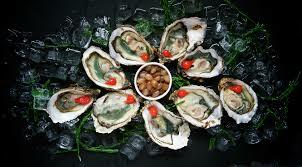 Steamhouse Lounge’s Oysterfest features lots of music, fun, lobster bisque, cold beer and, of course, oysters. A portion of the ticket sales benefits the Giving Kitchen, which provides emergency assistance to restaurant workers through financial support and a network of community resources. Living in the city provides easy access to many of the unique events happening around town. Because there are always several things to do in Atlanta, this city a great place to call home. As the Atlanta leader in real estate and new development, we would be happy to answer any questions about living in Atlanta. Just call us at 404.845.7724 or find out more at https://evatlanta.com.